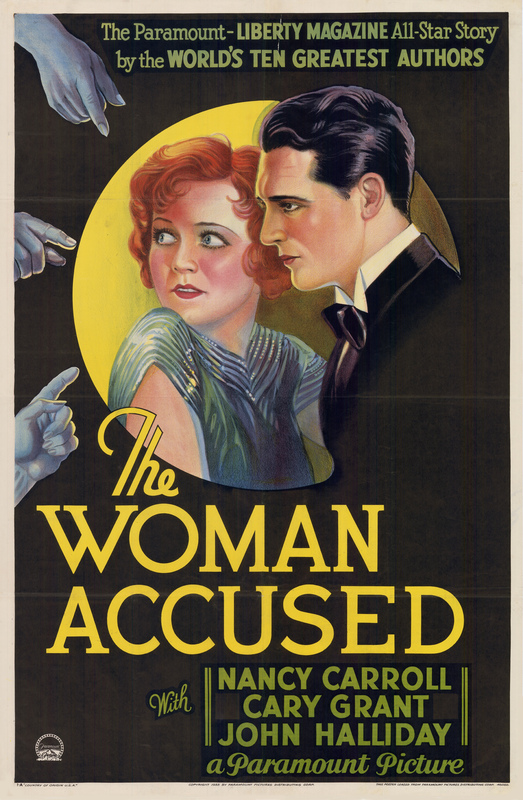 The Woman Accused is a 1933 American pre-Code drama film starring Nancy Carroll and Cary Grant as a young engaged couple on a sea cruise, with the woman being implicated in the death of her former lover. The supporting cast includes Jack La Rue in a particularly memorable sequence opposite Grant in which the latter violently whips him. The movie was directed by Paul Sloane. This page was last edited on 2 August 2018, at 20:42 (UTC).